I was driving home from the grocery store with the kids yesterday, and my son asked about Christmas. He's supposed to bring in some "show-and-tell" item to school to show how his family celebrates the winter holiday (Hanukkah, Christmas, Diwali, Kwanzaa). Oh boy did my kids get an earful! But it was great. They wanted to know if I believed in God. Answer: "What do you think, kids?" "I don't believe in gods. I believe in Zeus, though, but that's just pretend." I've talked about god and gods before with my kids. A lot of their friends are theists, and so they often have little 6-year-old theological debates ("There's a God!" "No there isn't!" "Yes there is!"). Actually, come to think of it, that's also a 36-year-old theological debate too. But I digress. The first thing we talked about was the celestial motion of the earth, as we discuss this very often. My kids are to the point where they said "We KNOW Dad, you tell us all the time!" a few times during the conversation. So, they know that the winter solstice is the shortest day of the year, and after that, the days get longer. So the best myth that I can use to explain this is the Feast of Sol Invictus (the Feast of the Invincible Sun), which they understood, the sun is the weakest on December 21st and then gets stronger. You can't defeat it! It's a circle! We also talked about Saturnalia, Yule, and the days of the week being named after pagan deities: Sunday (Sun's day), Monday (Moon's day), Tuesday (Tiw's day), Wednesday (Woden's day), Thursday (Thor's day), Friday (Frey's day), and Saturday (Saturn's day). We then discussed Christmas, and Jesus Christ. We talked about how, in our family, we don't believe in Jesus but lots of their relatives do, and that's okay. My son asked whether we can still celebrate Christmas, or what we DO celebrate? "Of course!" I said. 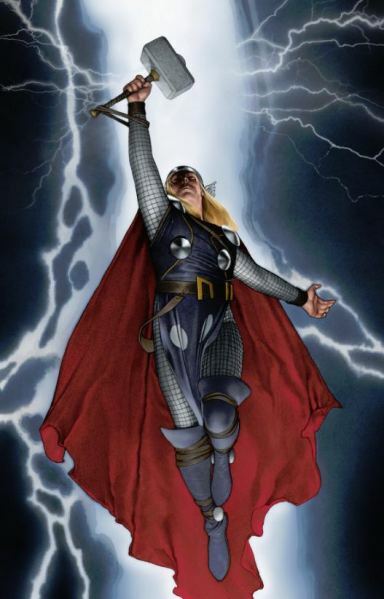 We don't believe in Thor, but we can still say "Have a good Thursday!" We don't believe in Frey, but we still say 'Thank Goodness it's Friday!" We don't believe in Bel, but we cain still celebrate the midsummer festival (Beltane). We still have a Christmas tree, and a Yule log. In fact, if you ask twenty people today "What is made of wood, and is a symbol of Christmas?" I'll actually bet you most will say "Christmas tree" rather than "manger". My children were then perplexed... "What DO you believe in, Dad?" "I believe in stars, guys. They exist. They give us light and power, and all of the life on earth comes from the sun. In fact, we all LITERALLY come from the sun, we're all a little bit of stardust from billions of years ago. So when I tell you that You're my little star! I mean it literally." ("We KNOW, Dad, you tell us all the time"). "I believe in stars too," says my son. "I believe in stars too," says my daughter. Then she added "And I believe in love." I think it was one of the proudest moments of my entire life. This year, Christmas falls on a Tuesday. So if people ask you to make sure you keep the Christ in Christmas, remind them that they should also make sure to keep the Tiw in Tuesday (the god of single combat). Suggested ways to celebrate the mingling of a few mythologies on that day (Christian, Roman, Norse, Jewish, get creative! ): after asking the wood sprites for permission, slice the Christmas tree into some wooden swords, and practice banging on each other's shields for a while. Then you can make two teams, the Three Wise Men can take on the Shepherds in a sword dance. Or to make it interesting, add the Macabees, give them some Hanukkah oil and the (ignited) Yule log, and see which one comes out on top. (Maybe try that last one outside.) For some fun kids' activities, have them make some wax figurines, play some craps, make a manger out of the Yule log splinters that haven't burned, and pretend it lasts for eight days. Finish the day with a prayer for a good (symbolic) death in combat with your sword in your hand, so you can get to Valhalla, where the home team (The Vikings, of course) will take on the Christian Crusaders in a celebrity death match, and then Mom and Dad can play "Who's the Virgin Mother" when the kids get to bed. Role reversal in this case is encouraged, it's Saturnalia after all!!!! I kept the Thor in Thursday today. I wore purple.